While the coffee shop scene in London is drastically different than the Amalfi Coast, there is one familiar sight that I spotted outside a shop. All of the Vespas! Aren’t these three lined up so cute? 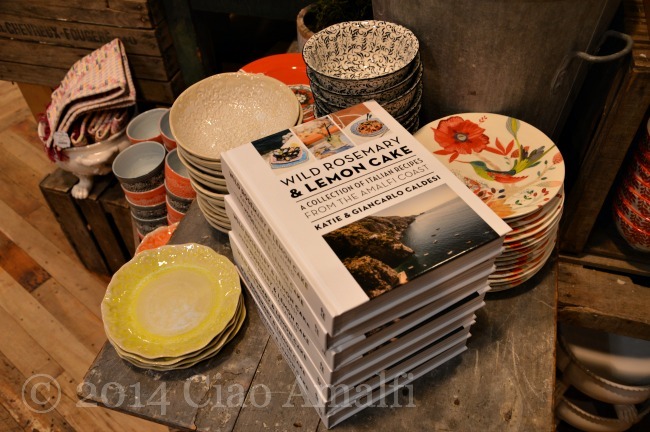 Look … there’s a cookbook about the Amalfi Coast in the Anthropologie on King’s Road in Chelsea! I’m in London this week enjoying a very a very different landscape than what I’m used to seeing each day. From stone steps and trains of donkeys hauling supplies I’ve come to the urban setting of one of my favorite cities in the world – London. It makes a nice change of pace, and always surprises me that it’s just a couple hours flight from Naples. While the two locations couldn’t possible be more different, I’ve loved finding little reminders of Italy while out and about. Walking by an outdoor pub and overhearing a young Italian guy making a dinner date on his phone, hearing a mother scolding her young daughter in Italian for running too fast in a tiny stationary store or even spotting an Amalfi Coast cookbook by Kate & Giancarlo Caldesi from La Cucina Caldesi Cooking School in London at the Anthropologie on King’s Road. Now there’s a view that looks familiar! 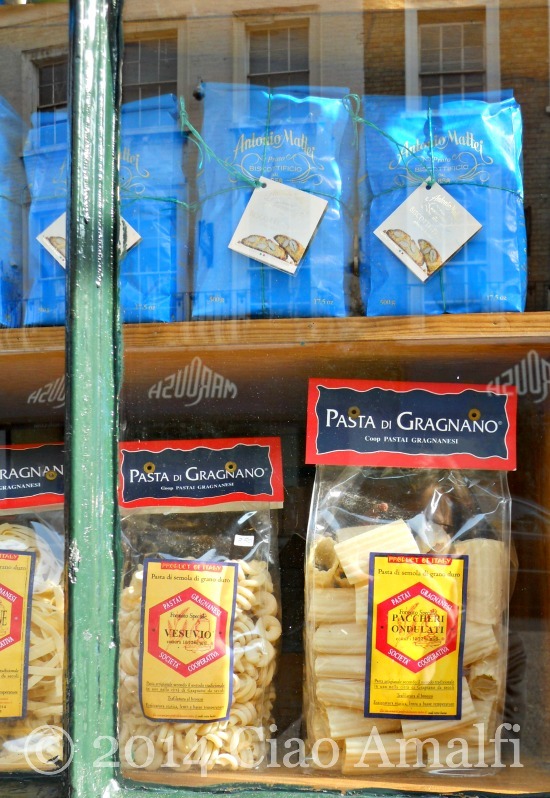 I walked by La Bottega di San Lorenzo on Beauchamp Place in Knightsbridge and spotted pasta di Gragnano, made in a town near Sorrento that is famous for its pasta. I love thinking of the journey this pasta made from the mountains above Sorrento all the way to super chic Knightsbridge. A world away in so many ways! 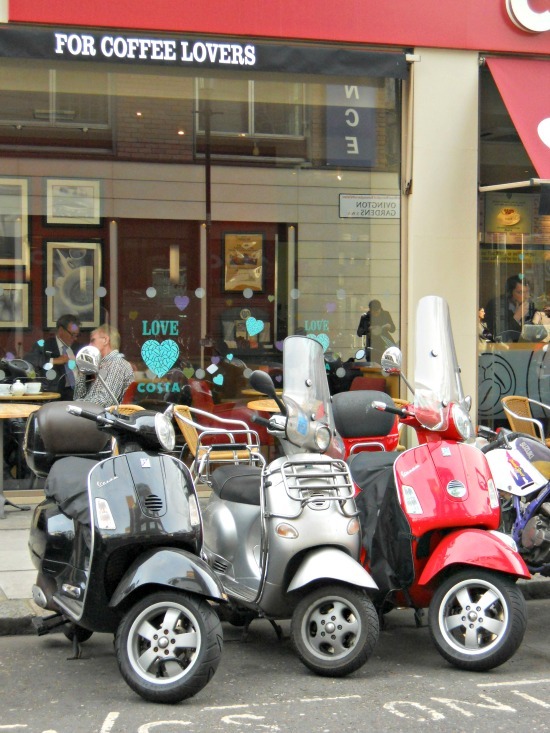 Of course there are tons of Italian restaurants, coffee shops and gelaterias in London as well. 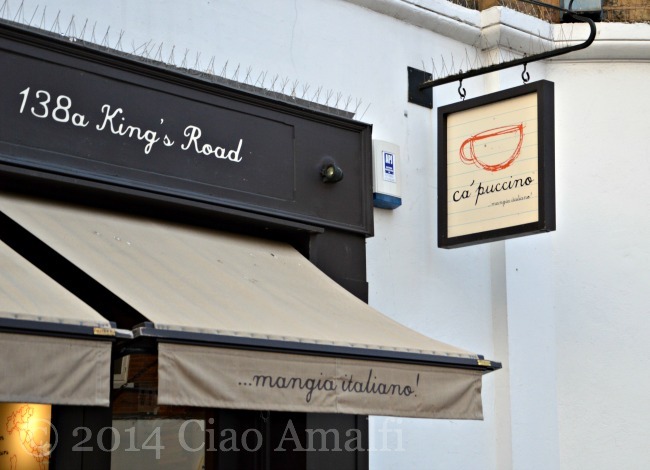 I walked past one called Ca’ppucino on King’s Road this evening and it was full and looked very inviting inside. Although I’m fully immersed in the London lifestyle, I can’t help noticing these little things that remind me of home and bring a smile to my face. Just like all the top travel destinations in Italy and around the world, there are certainly times during the year when Amalfi can be quite a popular spot. But I feel sorry for the people who say things like, “Venice is too touristy” or “Amalfi is too crowded.” Those people miss out on so much. I remember getting lost during peak travel season in Venice, wandering not too far from Piazza San Marco, climbing over bridges and meandering along canals and finding it so utterly tranquil that the local cats seemed pleased that someone had finally discovered the little sunny piazzas they called home. Along with the light gleaming on the golden mosaics of San Marco, this is the Venice that I’ll always remember. Amalfi is very much the same. Even when Piazza Duomo is teeming with people during hot summer days, all you have to do is wander a street or two into the maze of Amalfi staircases to find a very different atmosphere. 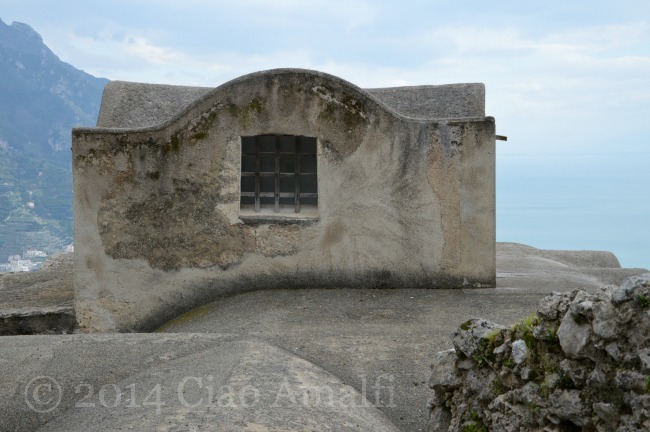 You can call it the “real Amalfi,” or whatever you want, but that’s really too superficial of a way of seeing a place. The bustling piazza and shop-lined streets are just as much a part of Amalfi as the quiet streets with laundry hanging in the sunshine and the scent of home-cooking lingering in the air. 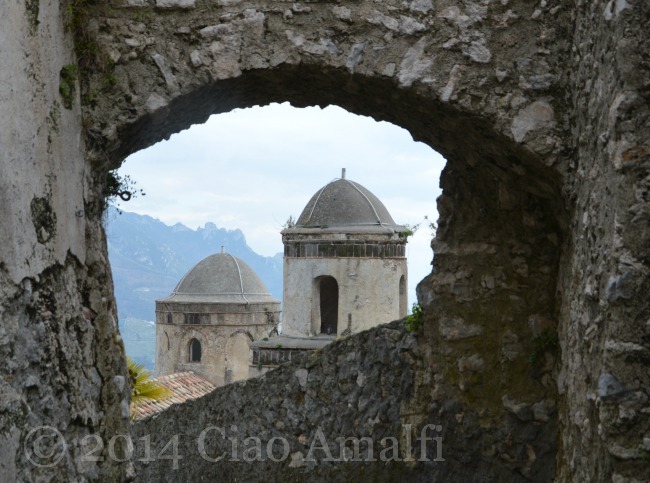 But, I think visitors should see both sides to feel Amalfi, and I’m most definitely not alone there. 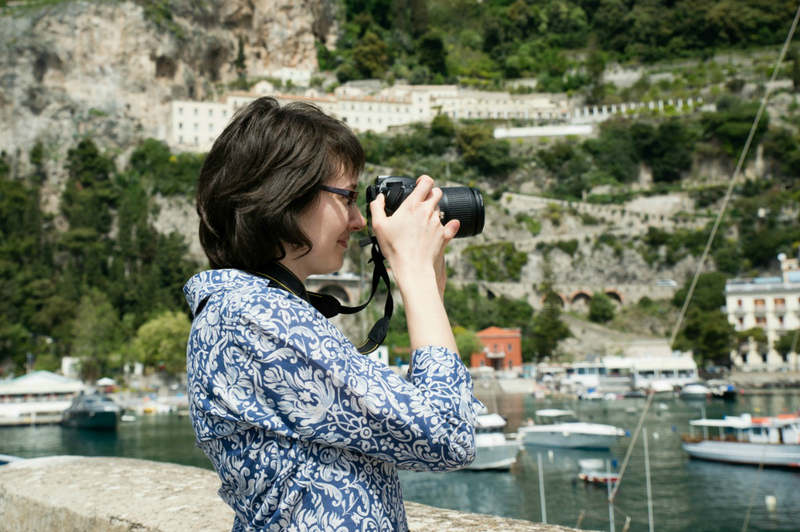 Any good local guide will take visitors on a walk through the side streets and up and down the steps of Amalfi. 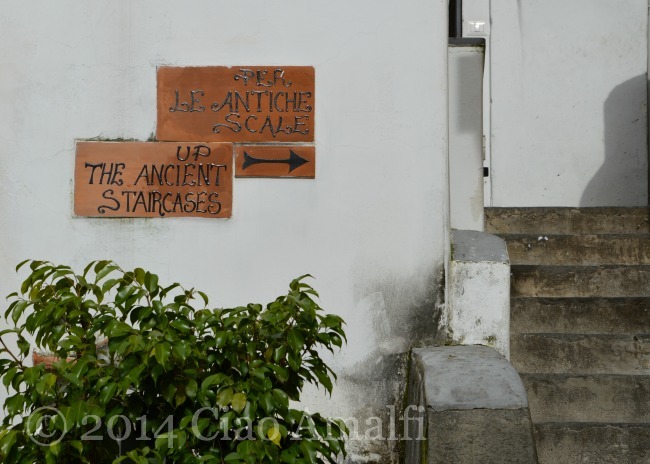 I love this hand-painted ceramic sign that encourages visitors in Italian and English t0 go explore the ancient steps of Amalfi. Go on … and have fun! 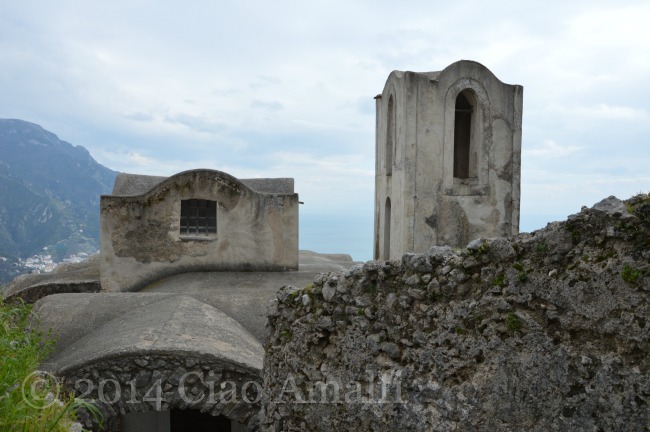 There is a staircase I follow often to visit family that leads from the main piazza of Ravello, through and under the Villa Rufulo and past two churches. 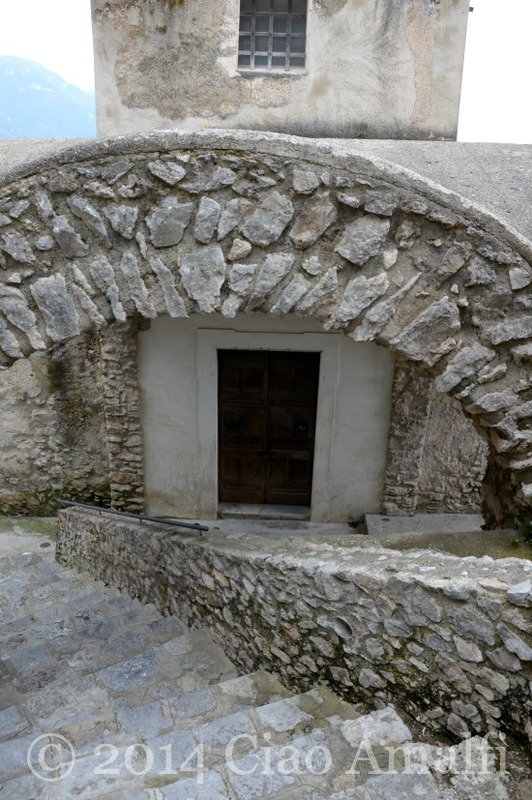 The first church is the much photographed Chiesa della SS. Annunziata. But my favorite view of it is the one you see above, which is so nicely framed by an arched walkway going down this staircase. Around a few more corners and you’ll spot the undulating roof and bell tower of Santa Maria delle Grazie. I love the curves of the roof and especially the part above the little window with criss cross bars. It’s hard to know just where to look with the steps leading one way and the lines of the building so smoothly rolling up and down. The eye doesn’t come to rest easily in one place. Feels like walking through an M.C. Escher drawing! 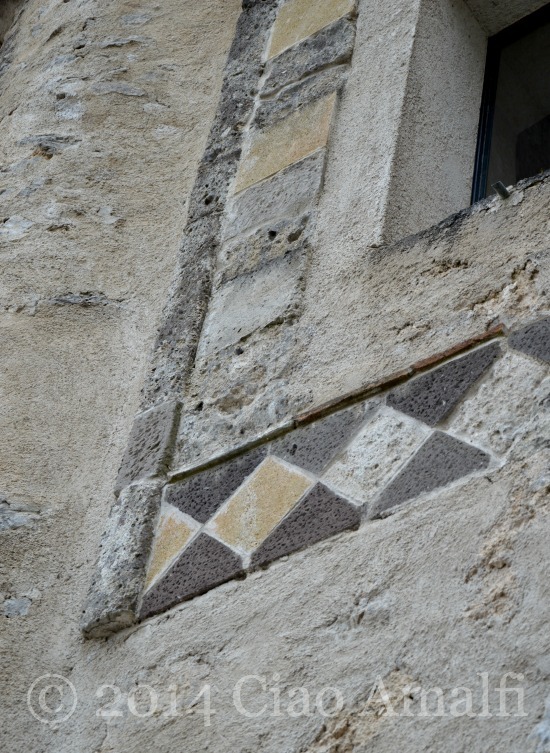 There are also little architectural details that shed some light on how brilliant and colorful these churches must have appeared when they were built. (Although it’s hard to just how much has been retouched with restorations.) The border around the window above is on the side of Santa Maria delle Grazie. Walking up and down the steps and stopping to enjoy little details like this is what life — and travel — is all about for me. How I wish this delivery of lemon trees was for me! The other day I spotted this cluster of trees waiting to be carried down the steps carefully to their new home on a terrace overlooking the Amalfi Coast and sparkling blue sea. Lucky little lemon trees! Some day I hope to have my own little garden terrace with lemon and citrus trees. 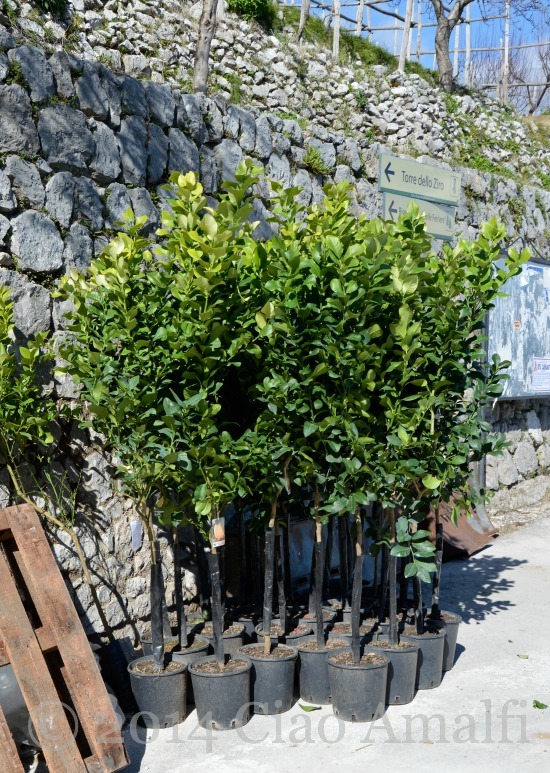 But until then it’s fun to think about the excitement of a delivery of lemon trees!